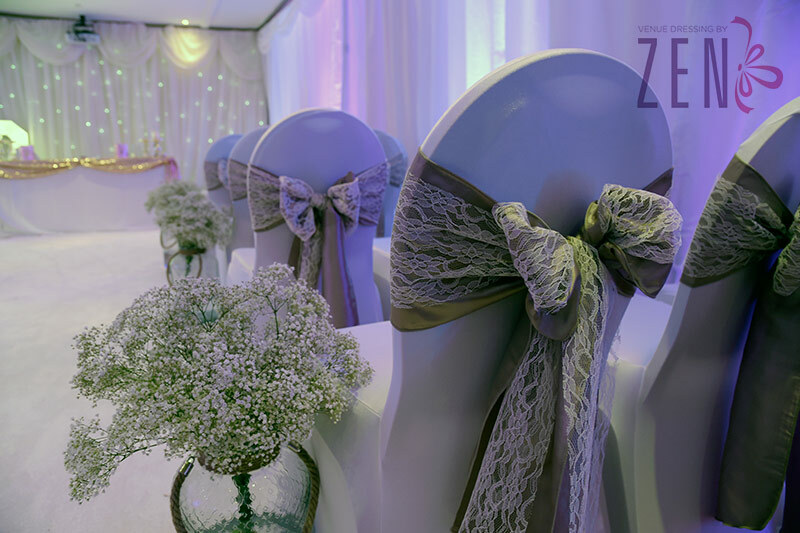 Zen Venue Dressing are a professional, friendly and reliable company based in Greater Manchester. 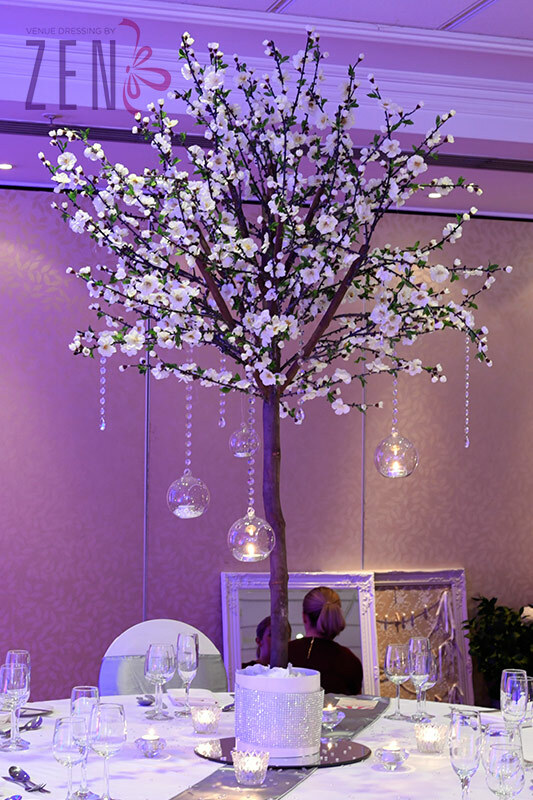 Venue dressing has now become a staple for every occasion by elegantly transforming any room. 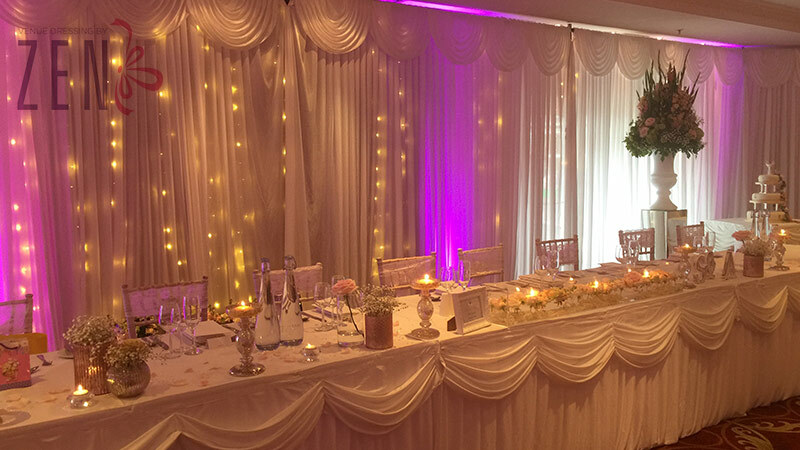 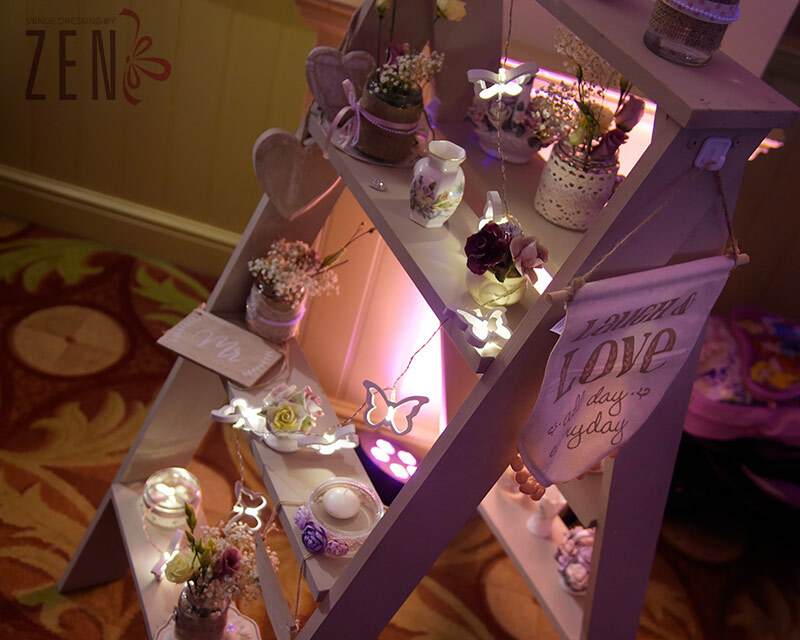 We offer a bespoke service to every client, ensuring their aspirations are achieved, from chair covers and sashes to ornate room dressing, candy cart, LED starlight curtains, postboxes, dancefloors and much more. 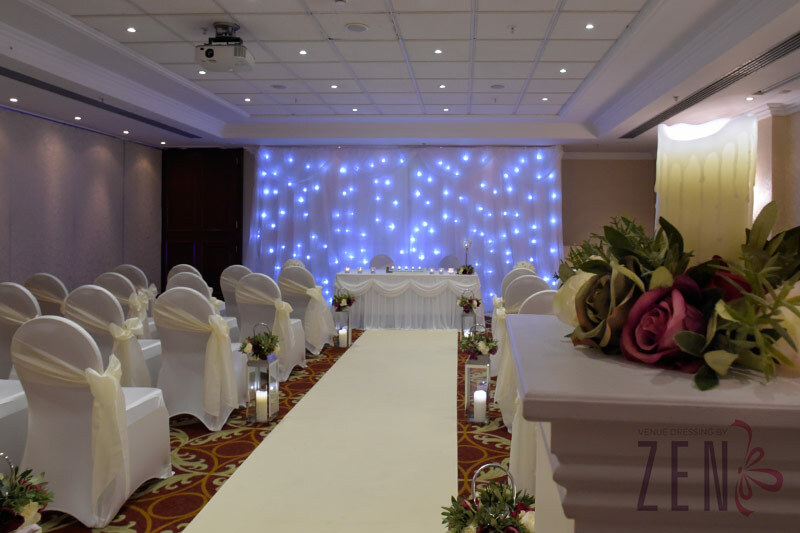 We have worked at many venues across the North West including the prestigious Hilton Hotel Manchester and Lancashire County Cricket Club. 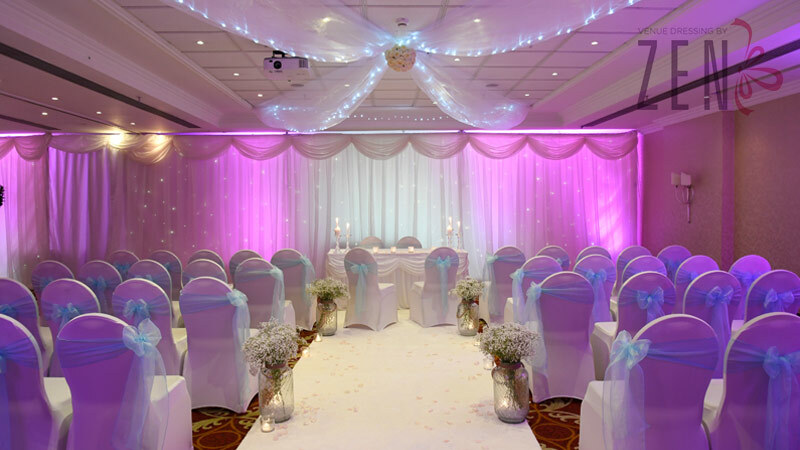 We are also proud to be the ‘Preferred Venue Dresser’ for the Marriott at Worsley Park and the AJ Bell Stadium. 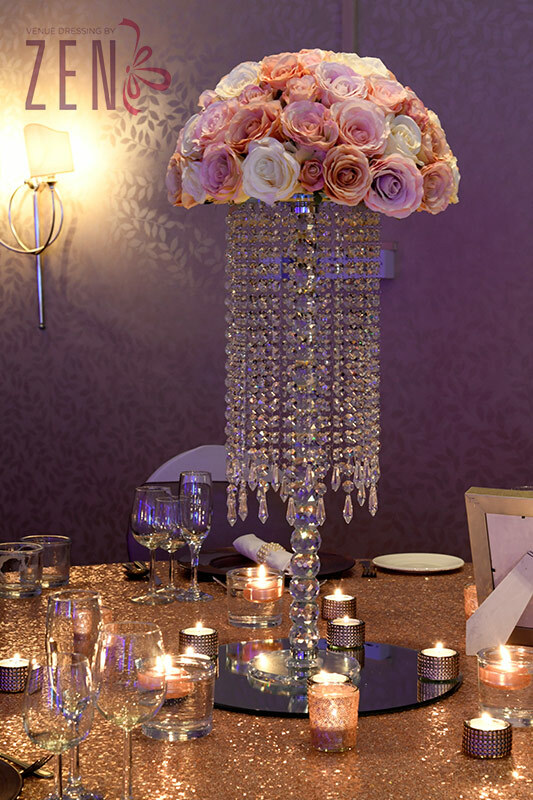 Our bespoke service starts with a personal, no obligation consultation where we get to know you, your style and your wishes. 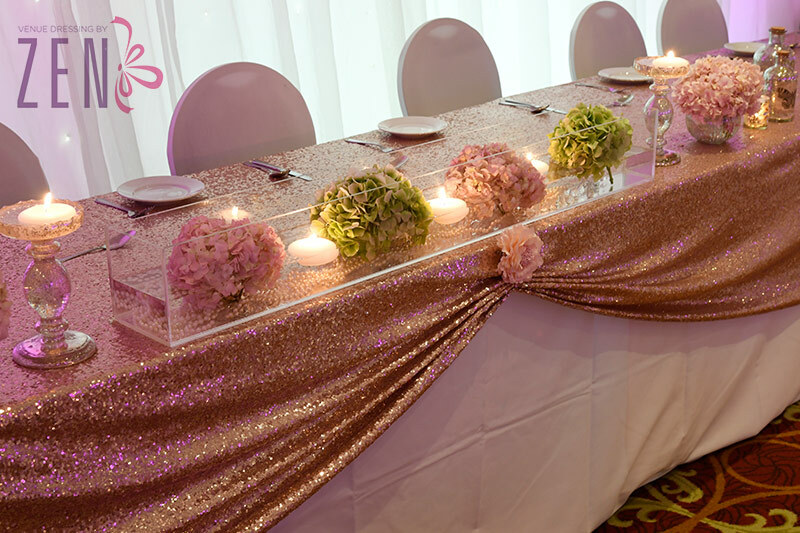 We have a committed team who ensure that every little detail is perfect and that your venue looks simply wonderful. 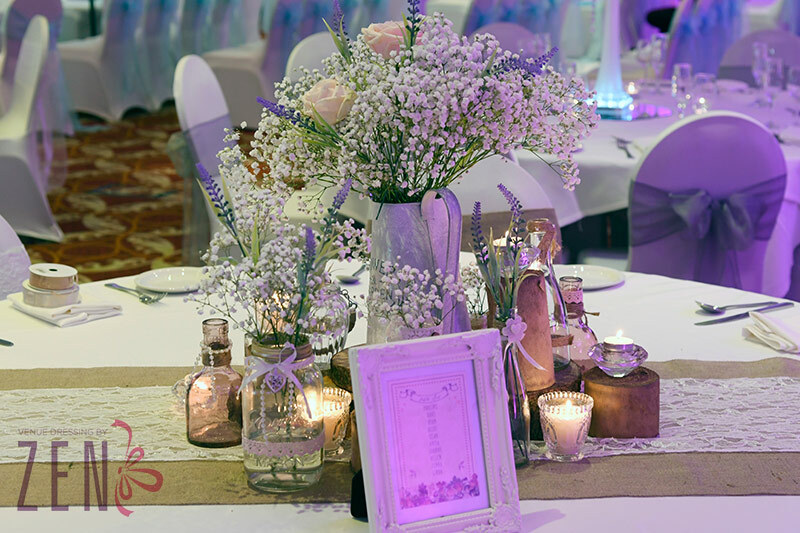 Please enjoy browsing our website and we hope to be part of your special day.